Ierapetra is in southeast Crete, in an extremely strategic position controlling the south coast of Crete and the Libyan Sea. Favoured both by position and by nature, Ierapetra has always been an important centre of the island. 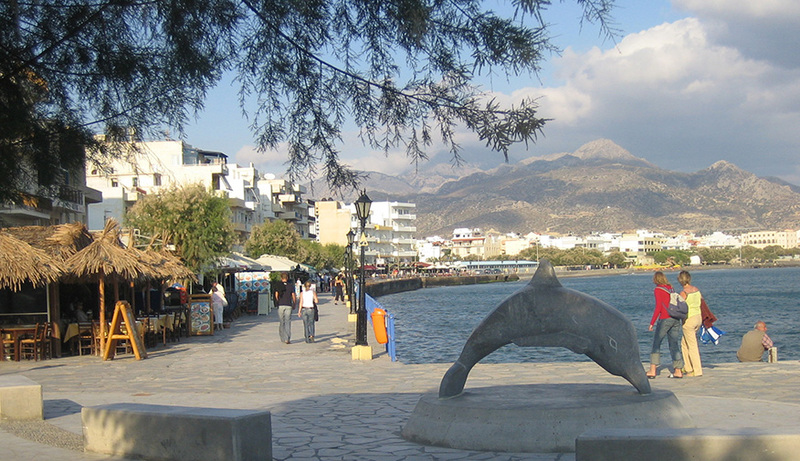 It has grown into the largest town in south Crete and a major tourist destination. When you visit it you will find a lively, active town - much more so than Agios Nikolaos or Sitia. Ierapetra, with around 13,000 inhabitants (2001 census), is a seaside town with an exceptional beach at its busy centre. What makes Ierapetra stand out is that it has the highest average of sunny days and the highest temperatures in Crete and Greece, with an annual average of 20 C.
Eight nautical miles south of Ierapetra is a small, uninhabited island resembling an untouched paradise. 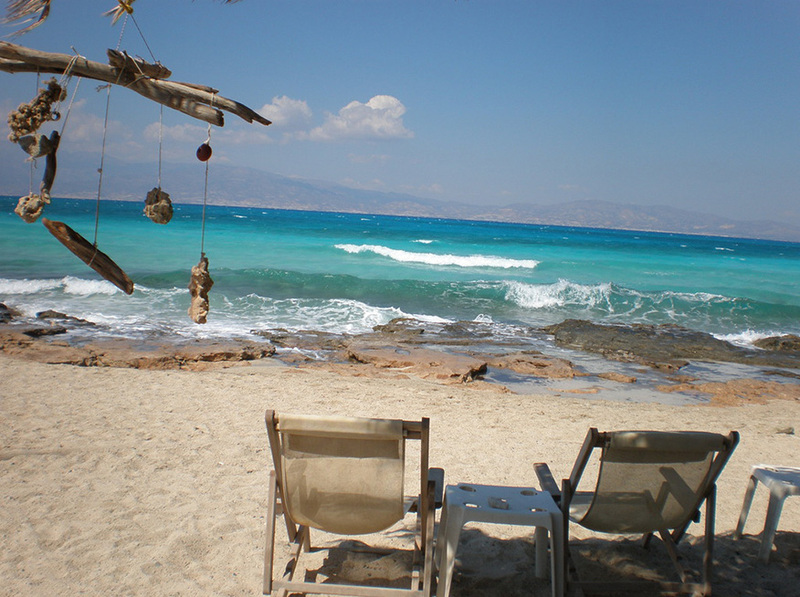 Chryssi (“Golden Isle”), or Gaidouronissi (“Donkey Island”) is a great choice for a daytrip from Ierapetra. The boats moor on the north side of Chryssi, at the spot known as “Vouyiou Mati” (“Ox Eye”), where the path inland begins. That is where the only building on the island is, offering refreshments to hungry and thirsty visitors. Chryssi is famous for its broken seashells, emerald sea and pink sand, with junipers growing all over the island. It’s really well worth spending a day on this excursion. Chryssi Island is a protected area, part of the European Natura 2000 network.